Got bored decided to make a Xanadu size map, liked the look, figured I would release it to the public. Includes all image files, and actions file. 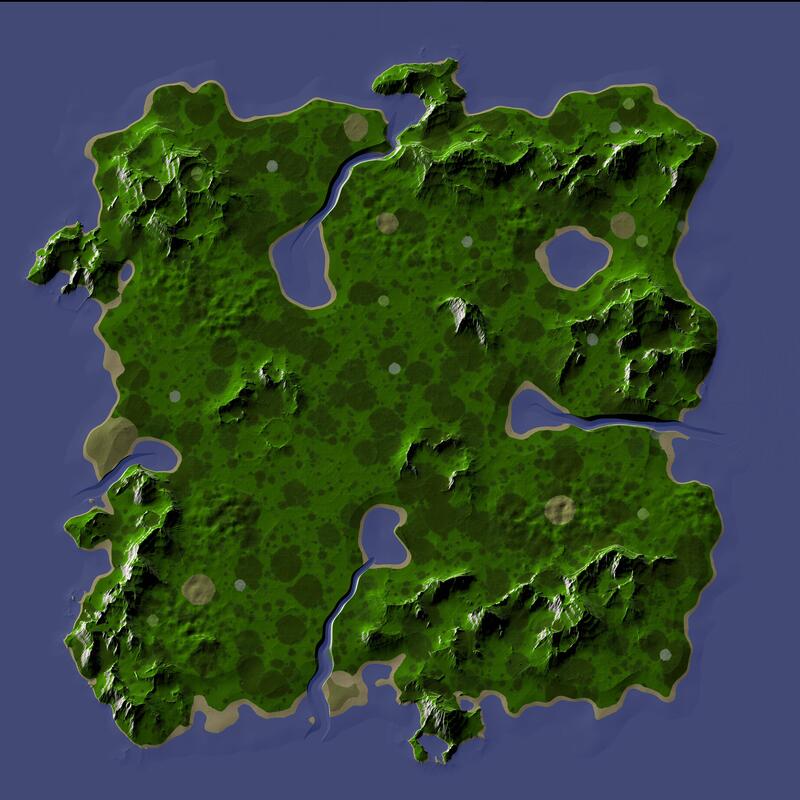 Any chance of an in-game map release too? There is clay, just not a whole lot, the in game map is pretty easy to make with Photoshop plus the included mapdump. The huge grey circles, those are clay? Also I don't have programs like photo-shop and wouldn't even know where to begin in how to "translate" it for that purpose. The clay is at the grass (green) at the edge of the sand (brown). The huge grey circles are tundra. Is "Tar" identifiable on the map as well?